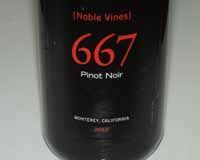 Once in a great while I dip into the bottom shelf, inexpensive Pinot Noirs, to experience what many people are drinking. Let’s face it, most of the Pinot Noirs I review are wallet-draining expensive, limited in availability due to minuscule production, and not for drinking on a nightly basis. I chose a case of wines that were priced at $9.99 or less, either based on the current retail price or the price after discounting (many of these wines are found in supermarkets that often discount them by up to 30% if the consumer buys six mix and match bottles). Wineries often divulge little production details on their value-priced wines, so I chose not to supply a bevy of technical nonsense. 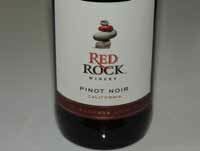 The wines may not be 100% Pinot Noir (wines can be labeled Pinot Noir as long as other varieties do not exceed 25 percent). Many carry the California appellation and grapes are sourced from several regions. Two decades ago, wine writers attributed the expense of premium Pinot Noir to the fact that it did not lend itself to large-scale winemaking, responding best instead when crafted in small batches. The demands of Pinot Noir winemaking were considered so challenging that the wine’s subtleties were easily lost in large production regimens. While this still holds true, the remarkable advances in large-scale Pinot Noir winemaking using selective manipulation have led to a plethora of good drinking Pinot Noir under $20 and even under $10. Claims that these cheap Pinot Noirs would ruin the lofty reputation of Pinot Noir have proven wrong since the wines are decent. They have made the grape more accessible to the general wine drinking public, and as a result, Pinot Noir has replaced Merlot and Zinfandel and challenged Cabernet Sauvignon as the go-to red for most regular wine drinkers. It still holds true that very good, cheap Pinot Noir is an oxymoron, and with Pinot Noir you definitely get what you pay for, but when you need to grab a bottle of Pinot Noir for a casual meal, it is comforting to know that some inexpensive Pinot Noirs can fill the bill and are true to their heritage. The wines reviewed here were fresh from supermarket or wine retail stores and were tasted soon after acquiring to replicate the consumer’s experience (most consumers drink wine within a day or two of purchase). 8 of the wines had natural cork or cork composite closures, 3 had screwcap closure, and 1 had a synthetic closure. 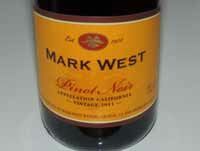 None of the back labels provided any relevant information as to vinification of the wines except the Mark West bottling. All the wines were true to Pinot Noir, but several had imposing oak imprints. The three that I can recommend are 2011 Mark West California Pinot Noir, 2012 Red Rock California Pinot Noir, and 2012 Noble Vines 667 Monterey County Pinot Noir.